It's almost time for the 7th Annual Northwest Tea Festival! 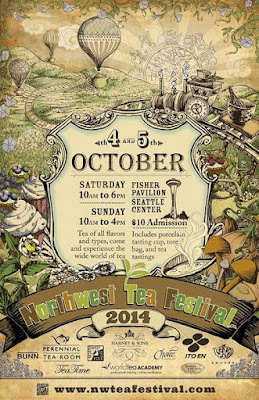 The festival will take place on October 4th & 5th in the Fisher Pavilion at Seattle Center. A one-day pass is only $10 and a two-day pass is only $15. Admission includes a porcelain tasting cup which is your passport to free tasting sessions throughout the weekend. Whatever your interest in tea, there is something for you to enjoy!